On December 10, 2010 Smoke Inn Cigars of South Florida released upon the world a masterful creation concocted by Pete Johnson of Havana Cellars and the Garcia Family of My Father Cigars. 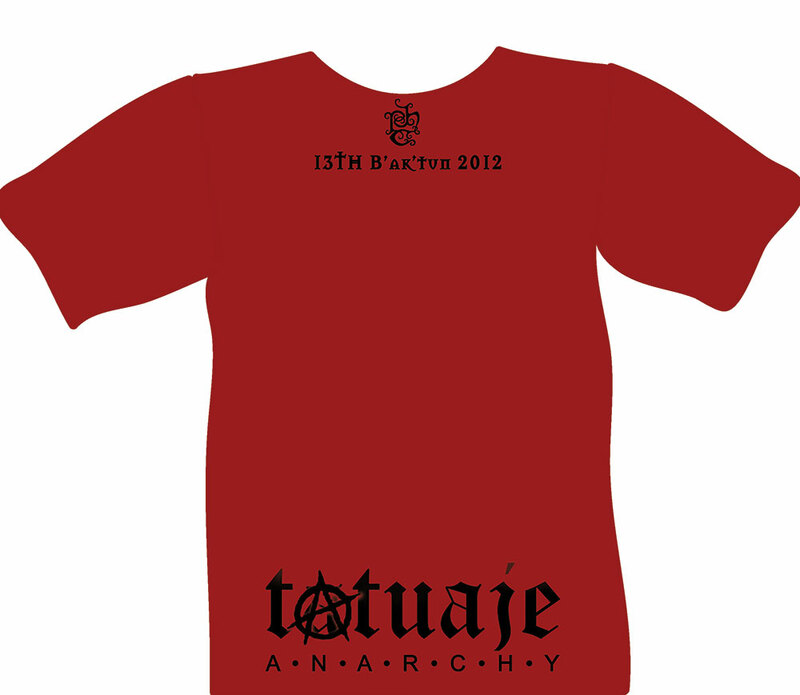 The cigar was the Tatuaje Anarchy and it took the nation by storm. The cigar is made with an extremely limited Ecuadorian Habano wrapper that was hand-selected by both Pete & the Garcia family. You will find this dark, oily wrapper having almost a "fuzzy" feeling on your lips. This cigar is bold yet extremely smooth. 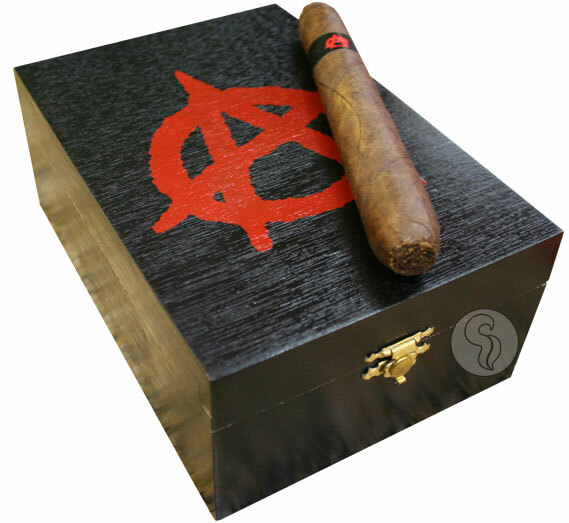 Going against the grain of typical limited run releases, we wanted Tatuaje Anarchy to be priced reasonably, so that all who are fans of Pete's brands could embrace this release without breaking the bank. 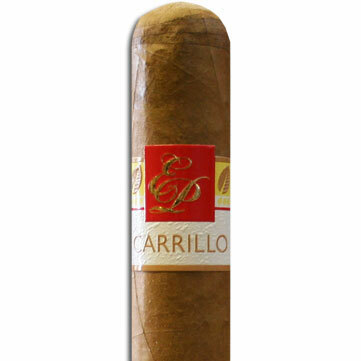 The cigar is a perfecto a little over 6" and has a slow taper of 48 to 52 ring gauge. 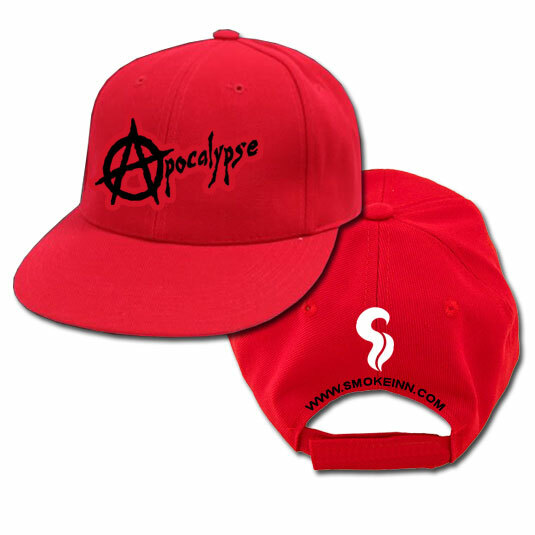 Only 1500 boxes were produced and it will be a sad day when they are gone. Continuing in the spirit of the Anarchy, we now proudly present to you the newest addition to the collection: the Tatuaje Apocalypse. Slightly smaller than its big brother at 5.25” x 48-52, the Apocalypse is dawned in a rich, dark Connecticut Broadleaf wrapper. The original blend has been masterfully tweaked with such subtlety that this new cigar is highly reminiscent of the original flavor profile, yet in somewhat of a more concentrated fashion. 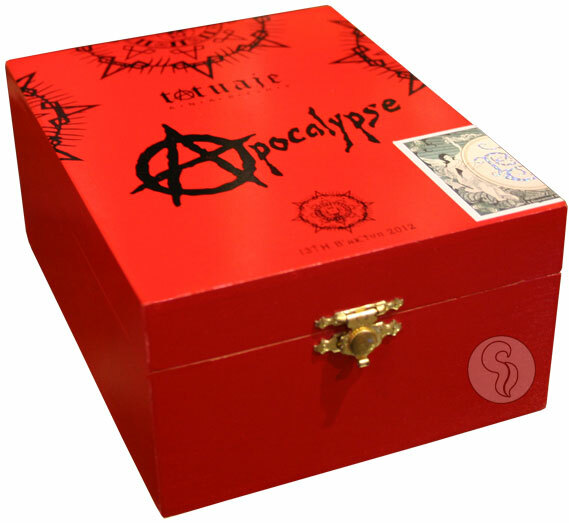 The Apocalypse will come in 15-count boxes, however this time around only 1300 boxes were made.